The secret to making this cake so dense and decadent is the luscious Medjool date. 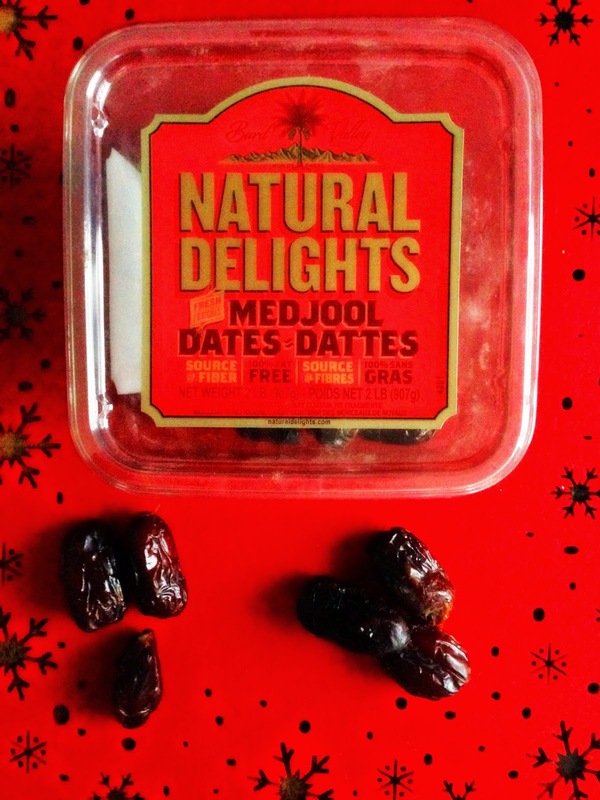 Not only are they high in antioxidants, fibre and potassium, Medjool dates are also fat-free and heart healthy. Dessert that is practically health food. I like! For this recipe, I soaked the Medjools in strong brewed coffee, which is a winning combination right there. Add chocolate, and you’re in heaven. And no, that is not an omission. There is no added fat to this cake. 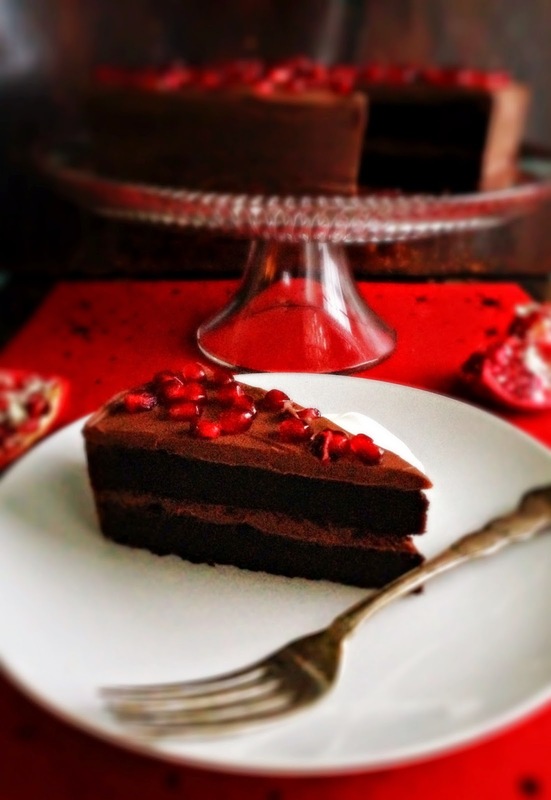 The texture is dense and fudgy - a sliver of a slice is all you really need - but you’ll probably want more, especially since it’s slathered with that dreamy dark chocolate ganache. Ganache and sugar plums. If that’s all that’s dancing in my head until Christmas, I’m fine with that. This is a sponsored post. Obviously I wouldn’t tell you about a product unless I really love it. All opinions are my own. *** If baking for gluten free guests, substitute 1 ½ cups gluten free flour blend, plus ¾ tsp xanthan gum for the cake and pastry flour. In a medium mixing bowl, add the pitted Medjool dates, vanilla and coffee. Let stand 30 minutes. Meanwhile, line the bottom of two 9-inch cake pans with parchment paper. Grease bottoms and sides with coconut oil. In a large mixing bowl, combine the cocoa, flour, sugar, baking powder and salt. Stir well to combine. Place the coffee/date mixture in the bowl of a food processor. Process on high for one minute, scraping the sides. Process for another minute or until completely smooth. Add the dry ingredients and process until it forms a smooth batter. Remember to scrape the sides of the bowl. Divide the cake mixture into the two cake pans. Bake for 30 minutes. Remove from oven, let cool in pan for 10 minutes, then cool completely on a wire rack. To make the ganache: You will need two cans of premium coconut milk. Scrape the thick coconut cream (NOT the coconut milk liquid) into a medium saucepan - this should be about 2 cups. Bring to a boil. In a medium bowl, add the chopped chocolate. Pour the hot coconut cream over the chopped chocolate and let stand for a few minutes then stir well, making sure it’s very smooth with no lumps. Chill in the refrigerator, for about 2-4 hours, stirring every 30 minutes or so. 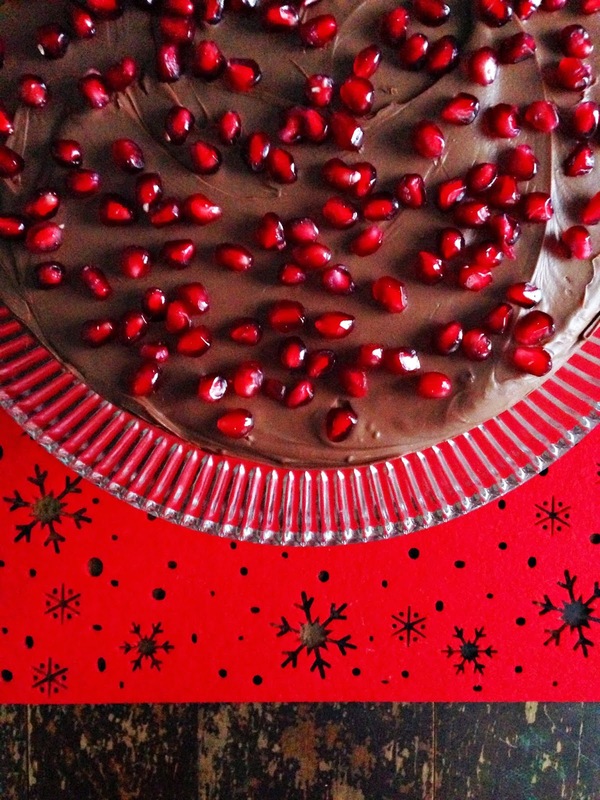 You want the ganache thick enough to spread on cake. Place one cake on a cutting board or cake round. Spread a fair amount of ganache covering the bottom layer of cake. 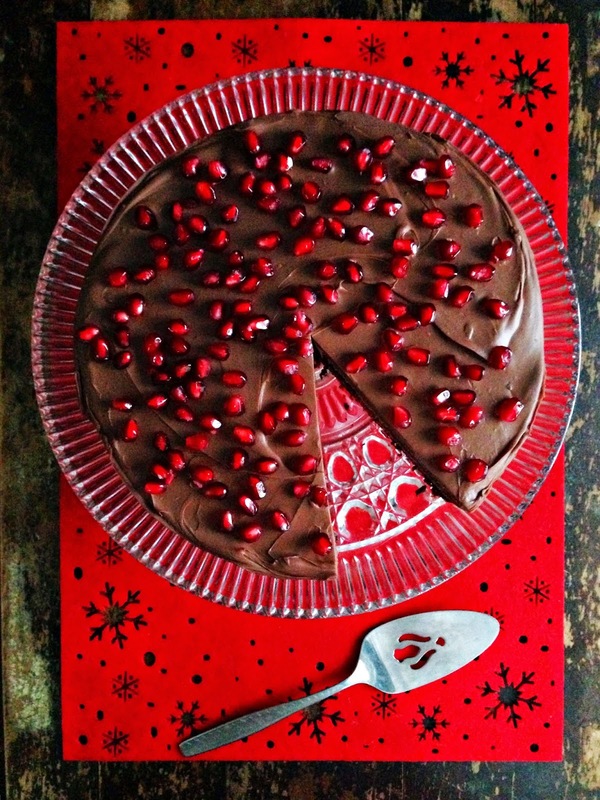 Top with the second layer and completely cover cake with ganache. Chill cake for two hours before cutting. Garnish with fresh seasonal fruit. Serve with whipped coconut cream or whipped cream. Makes 10-12 servings. If it has 1 1/2 cups of cocoa, it's bound to be good!